From Goodreads ~ In 1982, Sue Grafton introduced us to Kinsey Millhone. Thirty years later, Kinsey is an established international icon and Sue, a number-one bestselling author. 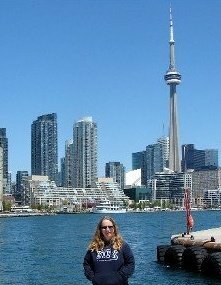 To mark this anniversary year, Sue has given us stories that reveal Kinsey’s origins and Sue’s past. 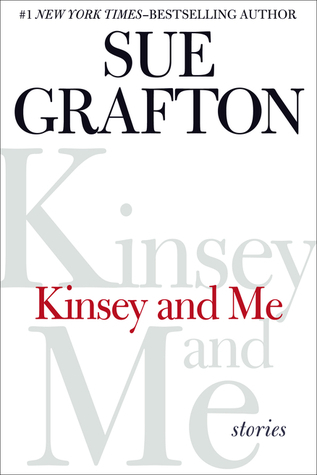 "Kinsey and Me" has two parts: The nine "Kinsey" stories (1986-93), each a gem of detection; and the "And Me" stories, written in the decade after Grafton's mother died. Together, they show just how much of Kinsey is a distillation of her creator’s past even as they reveal a child who, free of parental interventions, read everything and roamed everywhere. But the dark side of such freedom was that very parental distance. The same unique voice and witty insights readers fell in love with in "A Is for Alibi" permeate the Kinsey stories. Those in the "And Me" section trace a remarkable voyage, from anger to understanding, from pain to forgiveness. They take us into a troubled family, dysfunctional as most families are, each in their own way, but Grafton’s telling is sensitive, delicate, and ultimately, loving. Enriching the way we see Kinsey and know Sue, these stories are deeply affecting. I'm not a fan of short stories but I'm a fan of Kinsey Millhone (I've read all of the "alphabet series" featuring Kinsey Millhone) so that's why I checked out this book. I thought the first half of the book was okay. They were short stories featuring Kinsey Millhone solving quick cases. I was looking forward to the second half to learn more about Sue Grafton. But the stories were (I'm assuming) from parts of Grafton's life as a neglected child of alcoholics but not in her voice (they are characters). I didn't find them as interesting (I found them boring) and stopped after a couple. As a head's up, there is some swearing. I discovered the "alphabet series" in the mid-1990s and have read them all. I started rereading them last year and enjoyed most of them. I read Y is for Yesterday last year so this brings the series to an end once again for me. With the author's recent death, Y is for Yesterday will be the end of the series.